like UVM, Dartmouth, AMTRAK, and Albany Airport. Vermont Translines Customer Service Representatives are available Monday through Friday 8:00am – 5:00pm EST. Vermont Translines Buses run 7 days a week. 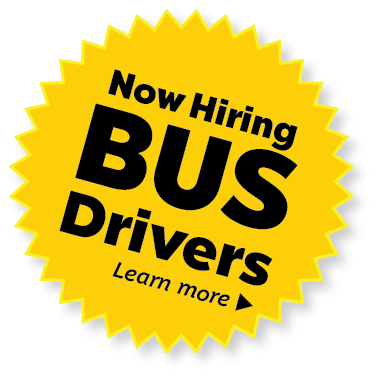 Do I Need Bus Driver Experience? No experience is necessary. We will train the right people to safely drive our busses, but you MUST HAVE the qualities listed below. What qualities does a Premier Coach Bus Driver have? A Premier Coach Bus Driver is passionate about providing friendly, welcoming customer service. A Premier Coach Bus Driver has a positive attitude and an excellent work ethic. A Premier Coach Bus Driver enjoys traveling and meeting new people. A Premier Coach Bus Driver is dependable and trustworthy. A Premier Coach Bus Driver has a clean driving record. A Premier Coach Bus Driver always puts safety first. If you match this description, WE ARE LOOKING FOR YOU! Please communicate your interest in employment even if you do not see a current job opening posted. Below you can either submit your resume or submit an application. Paid vacation for full time employees. We would like to hear from people interested in careers with Vermont Translines / Premier Coach. Vermont Translines Buses run daily, 7 days a week. Book online 24x7. Customer Service Representatives are available Monday through Friday 8:00am – 5:00pm EST. Site designed & maintained by: Green Mountain Marketing & Advertising, Inc.